A recent report by Sterling Management suggested that despite the increased number of compliance officers in the country, fraud cases are still on the rise. While issuing the report, company CEO, Kelvin Wilson noted that these CCOs have failed to stop irregularities and corporate scandals. Probed for an explanation, Wilson observed that the situation is aggravated by the fact that these operatives aren’t given the power and authority needed to identify and tame the wrongdoings in their respective places of work before they spiral out of control. Wilson also observes that the low stature the position is accorded in many organizations as well as the remuneration of these officers are given compared to other officials in the company may also be a contributing factor to the same. He is of the opinion that the enormous wage discrepancy between the CCOs and the rest of the management is a huge barrier to their performance. It is quite intimidating for a lowly paid employee of a stature almost considered junior employee questions a manager whose bonus exceeds his salary a dozen times. However, Randy Stephens of Nevax Global seeks to differ with Wilson’s proposition of the underperformance exhibited by many CCOs. He is of the opinion that the office holders have a responsibility to make sure they are qualified to hold positions and not just assume it as an afterthought or secondary responsibility. He also believes that a responsible chief compliance officer should be proactive as to spot situations before they develop into major problems while at the same time maintaining independence. 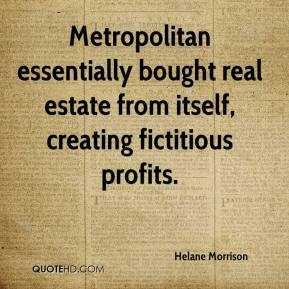 Helane Morrison is a managing director and CCO of the Hall Capital Partners LLC. She also sits on the company’s Executive Management Committee and also sums up as its general counsel. She has many years of experience both in the legal and investment industries needed in her current position. Before joining Hall capital, Helane had been working in the private and public sectors of the economy as the regional director of the SEC. Her qualifications in law degree got her working in prominent law firms in the country primarily representing investment companies. This is where she gained relevant experience in money markets that allowed her to shift to the compliance officer’s post.